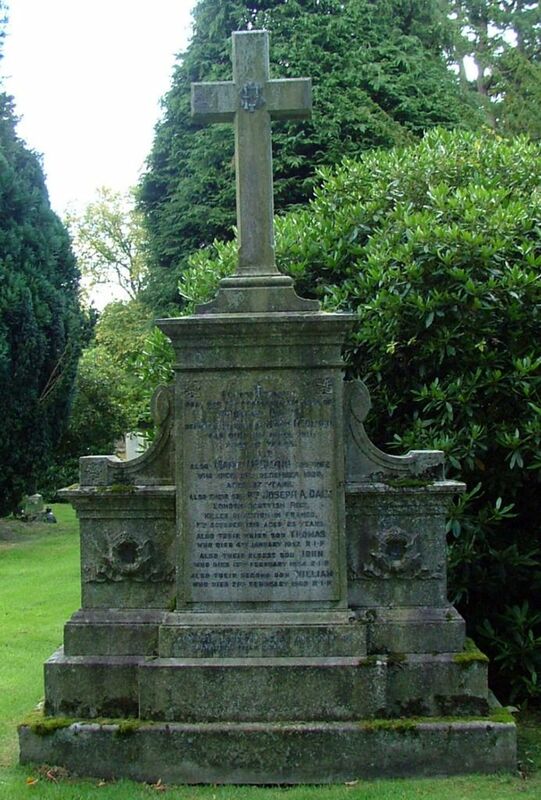 ABBEY CEMETERY is at Thorn, Paisley, Scotland. It now belongs to the County Council, the Glasgow Corporation, and the Paisley, Barrhead and Johnstone Town Councils. It contains 23 War Graves. The Dykebar War Hospital, with 500 beds, was located in the Asylum at Paisley. Grave Reference Sec. F.2. Old Part. Grave 636. 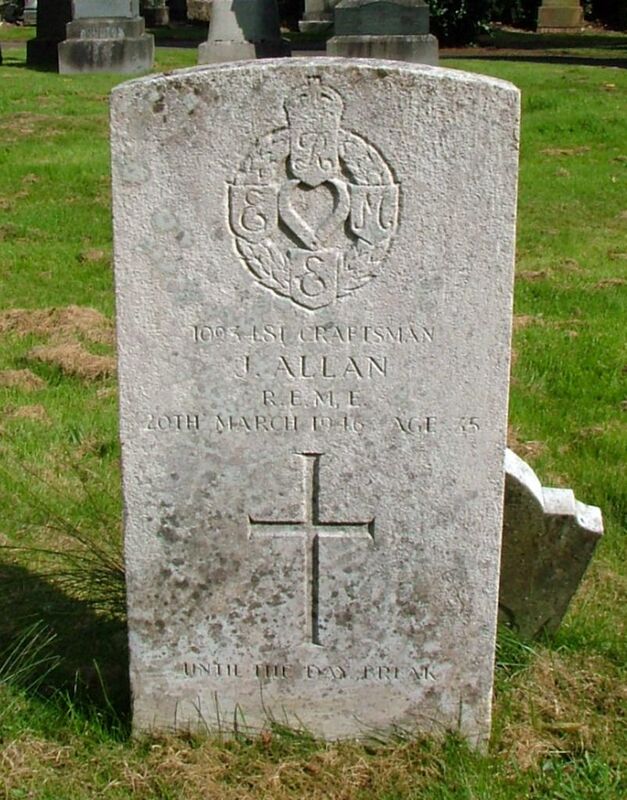 Additional Information: Son of James and Elizabeth B. Allan, of Paisley; husband of Mary Liddell Allan, of Paisley. Regiment/Service: Argyll and Sutherland Highlanders 4th Bn. Grave Reference New Portion. F2. 703. 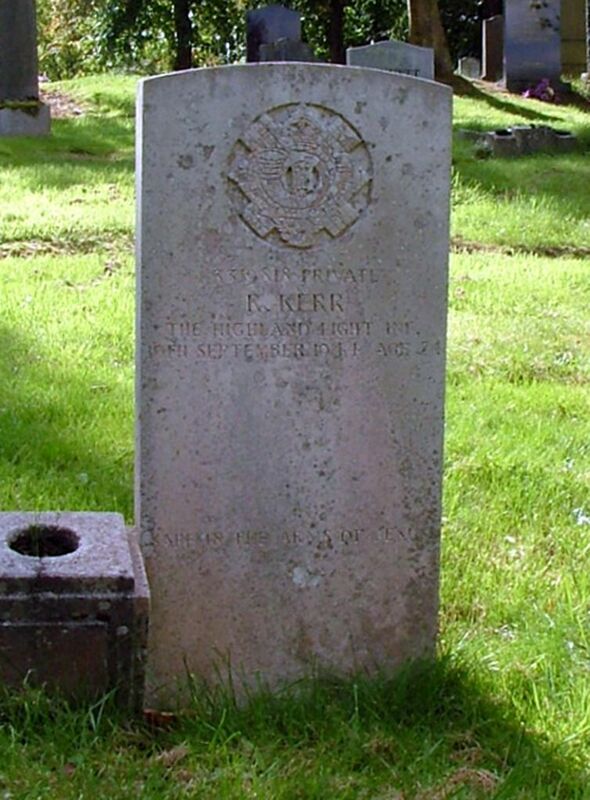 Regiment/Service: King’s Own Scottish Borderers 30th Bn. Grave Reference Sec. F.1. Grave 1823. 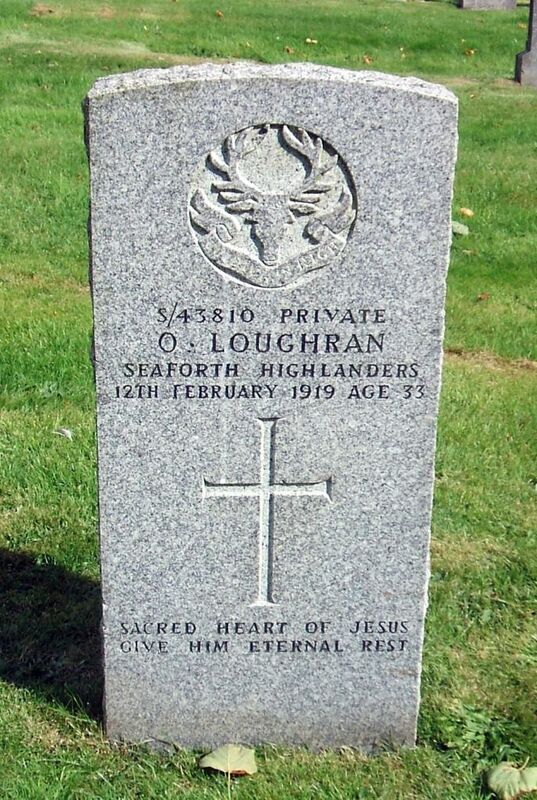 Regiment/Service: London Regiment (London Scottish) 14th Bn. Grave Reference VI. H. 1. 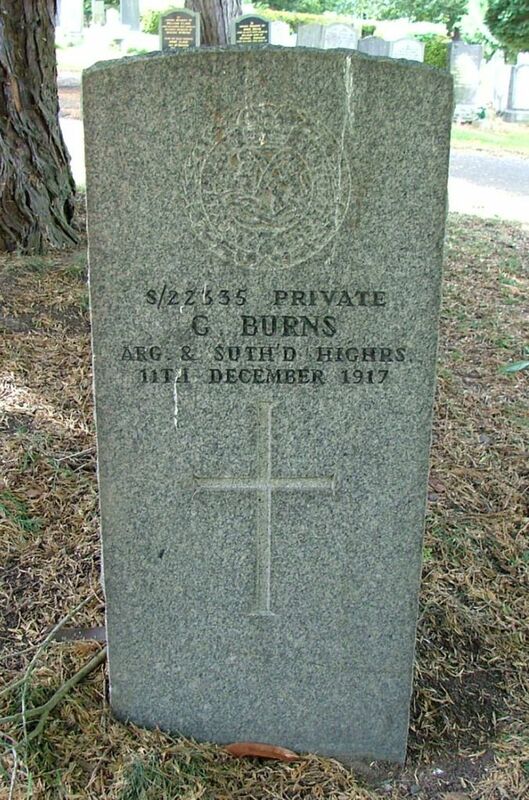 Regiment/Service: Highland Light Infantry (City of Glasgow Regiment) 2nd Bn. Grave Reference Sec. B. Old Part. Grave 1. 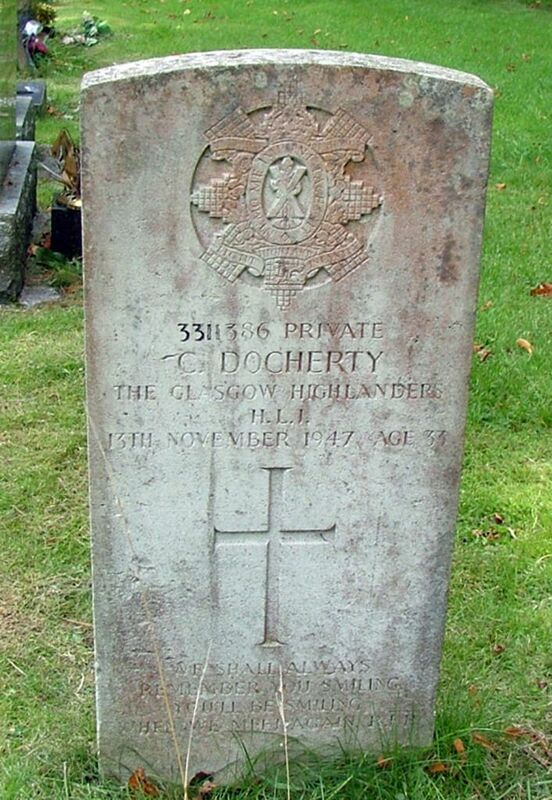 Additional Information: Son of James Sweeney Docherty, and of Mary Lochrie Docherty, of Johnstone. Grave Reference Sec. F. 1. New Part. Grave 1355. 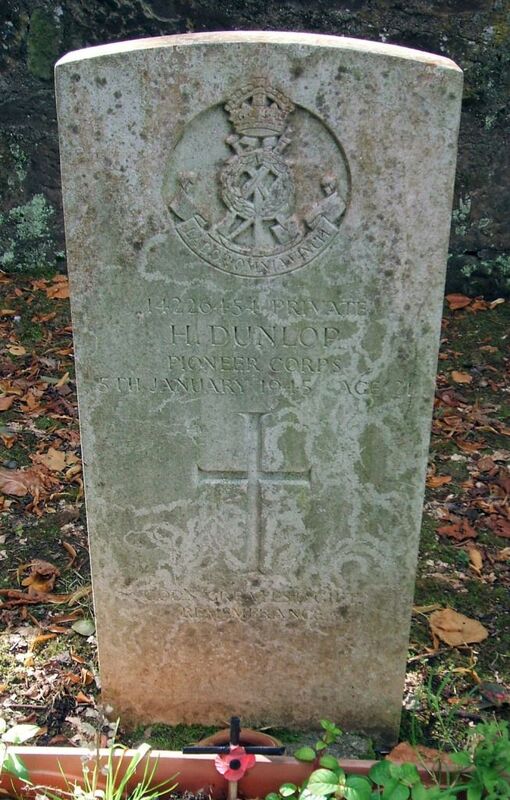 Additional Information: Son of David and Martha McIlwain Dunlop, of Johnstone. Grave Reference Sec. F.1. New Part. Grave 1807-1808. 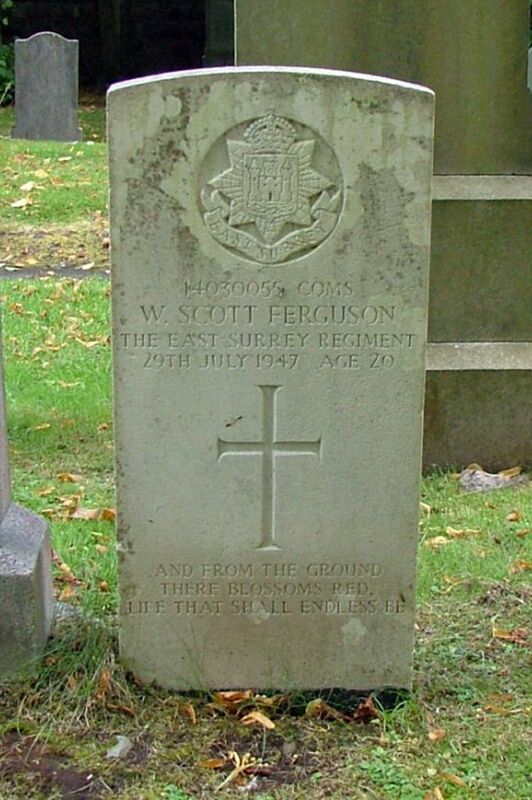 Additional Information: Son of William Munro Ferguson and Ann Ferguson, of Elderslie. Grave Reference Sec. D. New Part. Grave 766. 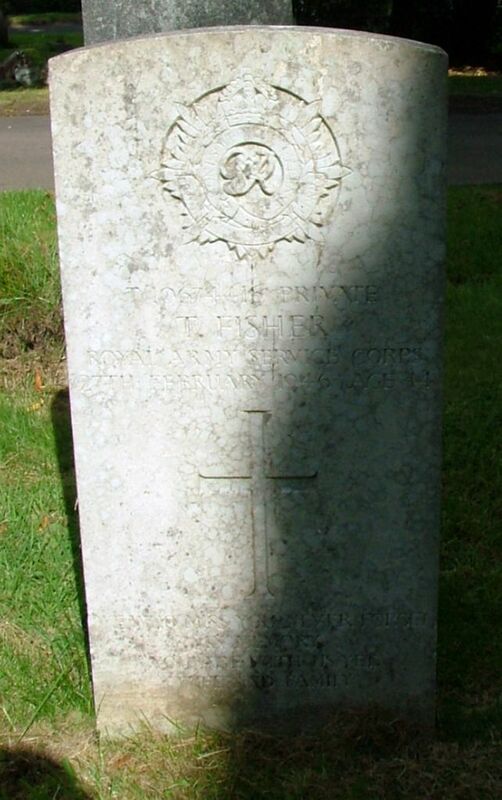 Additional Information: Son of Hugh and Helen Greenlees Fisher; husband of Agnes Bain Fisher, of Johnstone. Grave Reference Sec. D. Grave 741. 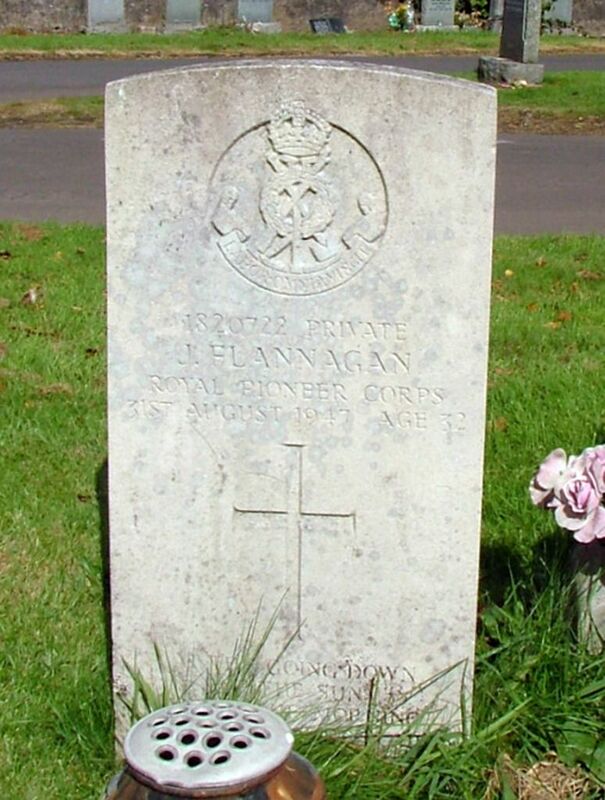 Additional Information: Husband of Mary Flannagan, of Johnstone. Regiment/Service: Royal Field Artillery 1st Div. Ammunition Col. Grave Reference Old Portion. F2. S2. 175. 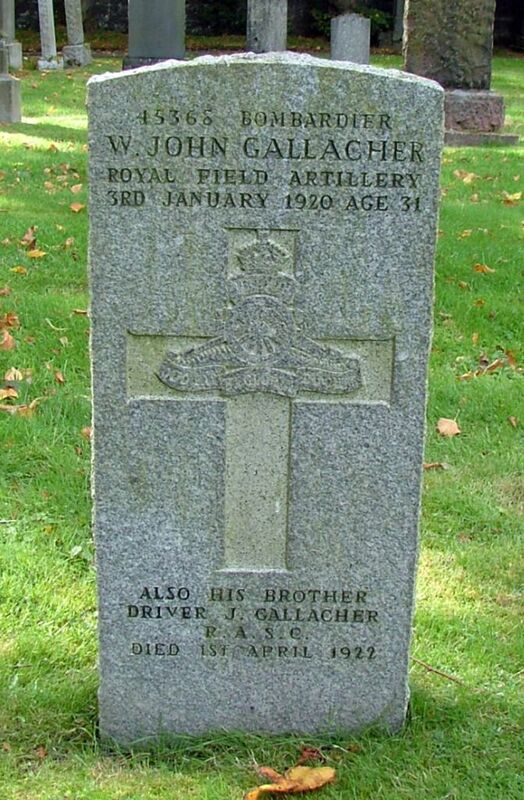 Additional Information: Son of John and Mary McCafferty Gallacher, of Paisley. Grave Reference New Portion. F2. 988. Grave Reference Sec. D. New Part. Grave 650. 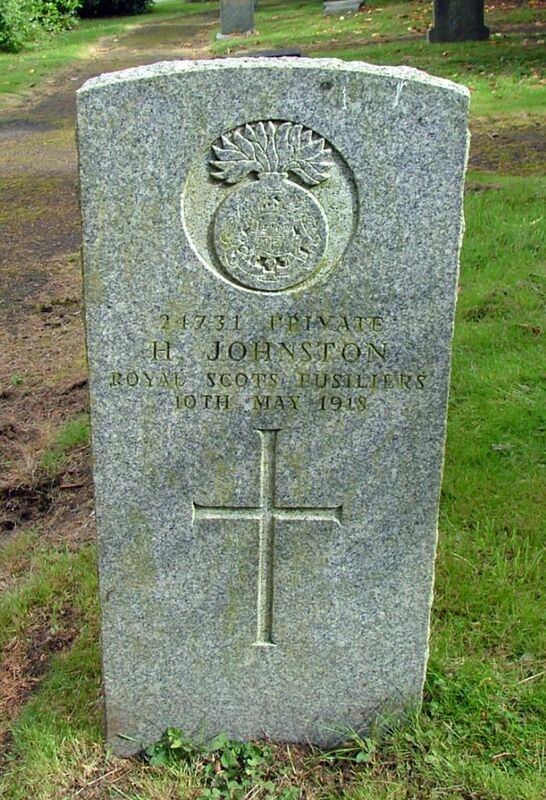 Additional Information: Son of William and Jeanie Kerr, of Johnstone; husband of Flora Kerr. 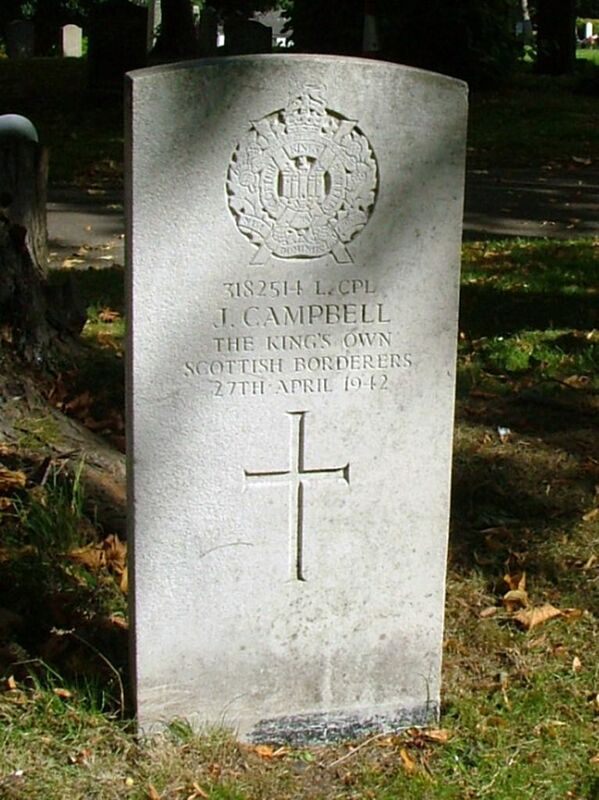 Regiment/Service: Middlesex Regiment 4th Labour Coy. Grave Reference Old Portion. F2. 400. 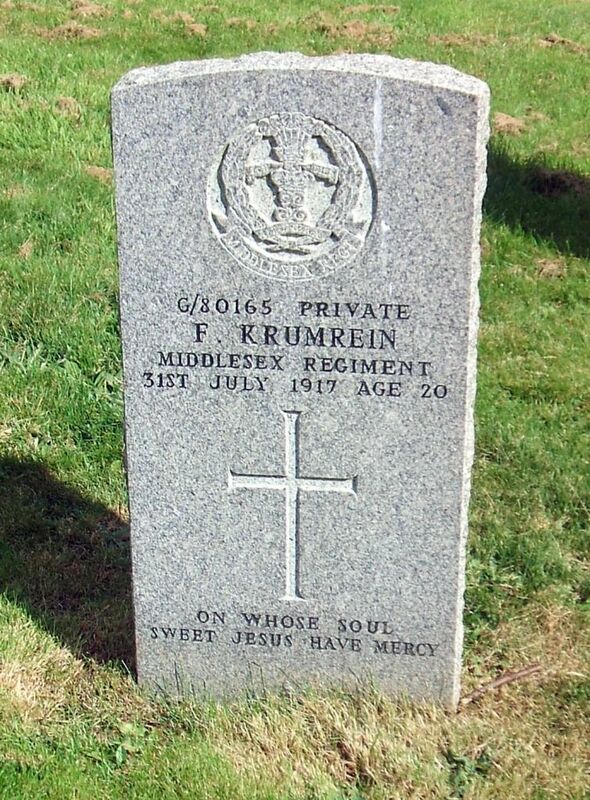 Additional Information: Son of Mr. and Mrs. G. Krumrein, of 9, Howe St., Barskiven, Paisley. 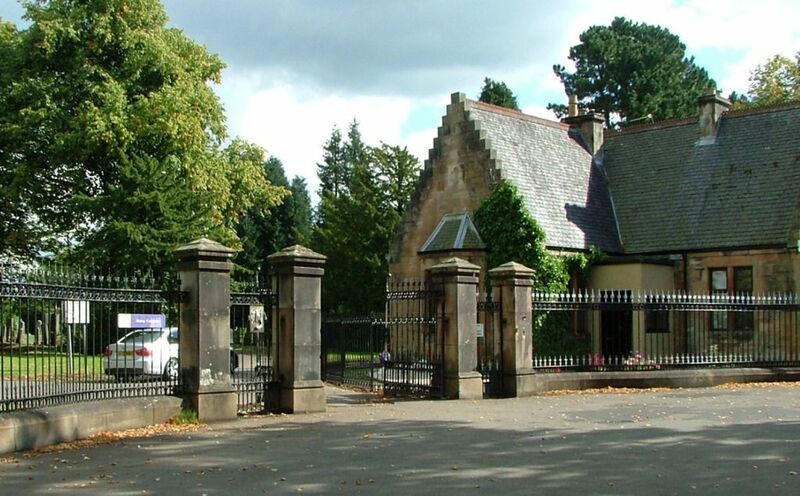 Born at Elderslie, Renfrewshire. Grave Reference Old Portion. F1. 827. Additional Information: Son of Owen and Mary McMahon Loughran, of 56, Kilbarchan Rd., Johnstone, Renfrewshire.